Anybody regulars seen youn Billy, i can't stop thinking about the dribbling mess? 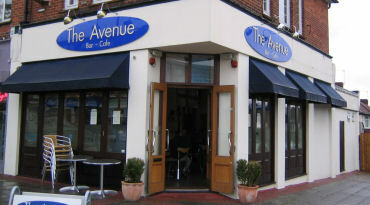 The Avenue Bar has become a private venue bar to be hired for parties and business meetings it has also been changed to The Chequers Function Bar. The bar has been completely refurbished to a very high and modern specification and the owner Barry caters for a variety of functions e.g pool tournaments, weddings, birthdays etc. 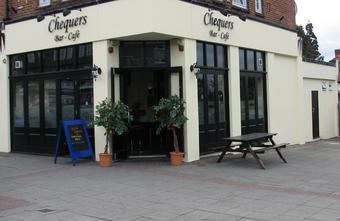 I hired it myself for a party and we were looked after very well and we had a great evening! Yeah popped doon from Glasgae with a few pals eh, very hospitable regulars. Met a soond man named Billy eh, told me he was a main face around Stoneleigh and the surronding areas, think he said he wus the leader of the Chelsea Youth or sumthing. Popped in for a few beer�s a couple of weeks back. Nice beer, good atmosphere and excellent music would definitely visit again. Thank you for having the ska night last month. Was an excellent night. Is it happening again any time soon?